Request a FREE sample of Prilosec OTC. FREE menu planning service–Food on the Table FREE for life! Needing some help with planning your menu? Food on the Table is an online menu meal planning service. The premium version usually costs $5 each month to use but right now there is a special deal - use coupon code SPRINGFREE to get the premium version FREE for life! Great idea to sign up for this now, even if you might not use it right away. Join here. 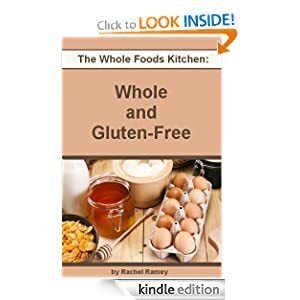 Download a free copy of Whole and Gluten-Free (The Whole Foods Kitchen). This is priced $0.00 on Amazon as a kindle edition. You can download a free application called Kindle for PC to read this ebook on your computer. Here’s some new coupons for you to print! 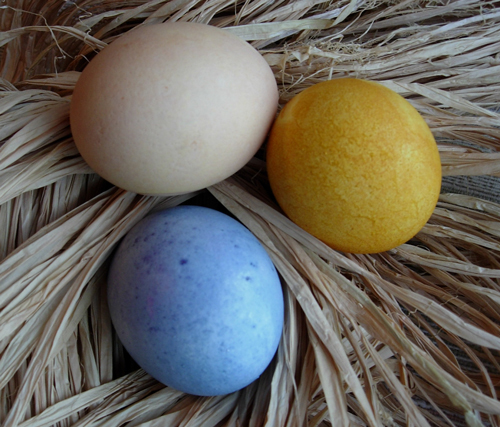 Want some fun ideas for how to decorate Easter eggs? Check out this free e-book “Easter Egg Designs & Recipes” for these instructions and many more ideas! March Swagness has come to Swagbucks - it's all about you earning bonus Swag Bucks while doing all of the things you’re already doing on Swagbucks. Every day they’ll give you an earning goal, which you’ll find on their homepage. As you earn Swag Bucks throughout the day, that meter will fill up and when it’s full, you’ll have earned your bonus for the day. The bonus will always be 10% of that day’s goal. Be sure to check in everyday, as the earning goal for any given day could be higher or lower than the day before. Your total bonus amount will continue to accumulate each day, and your bonus amount will be applied at by April 5th – this special promotion runs through April 2nd. If you hit the earning goal every single day of March Swagness, your bonus amount will be doubled! EVERYTHING you earn on Swagbucks counts towards March Swagness – including (but limited to) Search,Surveys, Tasks, Swag Codes, Special Offers, Referral Bucks, Winning TTPTP, Hashtag and Comment hookups – if you earn it from us, it counts towards the day it was earned! Print a coupon for $3.00 off TWO HUGGIES® Little Movers Slip-On Diapers. Lots of new coupons today! So get ready to print away! There will be two inserts this weekend – 1 Redplum (RP) insert and 1 Smartsource (SS) insert. Go here to preview the coupons that will be in those inserts. Lots of great new coupons for you to print this weekend! Head over to my other blog, The Frugal Homemaker, to find out how to get a free quart of paint at Ace Hardware each Saturday in March! And while you are there, check out my before/after dining room re-do – decorated with thrifted finds, furnished with hand-me down furniture + some DIY projects completed by us! Love this new room so much! Use coupon code THANKS2U, TODAY only (March 8th) to get a free one-night rental at any Redbox location. $1.00/2 Cheerious, $0.40/6 Yoplait, $0.50/2 Pillsbury pie crusts and more! Here’s the most popular printable coupons right now. We don’t see printable coupons for Pampers a lot, so take advantage of these coupons while we have them! Be ready for coupon overload today as I catch up on all the coupons that have come out in March. Here’s a list to get you started! $1.00 off one 11.5 oz. 6-pack of V8 juice. Right now you can print 3 different coupons on Wal-mart’s site. I am loving the Peanut Butter one (especially since the price of PB is sky-high right now.) Hopefully Publix will have it BOGO soon! Here’s the new coupons for today – some great ones too! Buy 2 Musselman's® Apple Sauce (46-48 oz. size), Save 50¢. Expires 4/8/2012. Buy 2 cans of Lucky Leaf® Pie Filling, Save 75¢. Expires 4/8/2012. IHOP: FREE pancakes TODAY (2/28) for National Pancake Day! Head to IHOP today to a FREE short stack of pancakes in celebration of National Pancake Day. In return for the free pancakes, guests are asked to consider leaving a donation for Children's Miracle Network Hospitals(c) and other designated local charities. Hurry and print this coupon if you need it. Here’s the new coupons loaded on coupons.com today. If you are having problems printing coupons today from any links – those links above should work fine to print any coupon on coupons.com! Here’s a great coupon! Love it when a new product comes out and they offer high value coupons! Print a coupon for $1.00/ONE Kraft Fresh Take cheese. It is reported that these run around $2.00 at Wal-mart so get cheese for $1.00 after coupon. I just used the recipe on the back of the freezer jars. Then ladle into jars! It made exactly all 5 freezer jars. By this time it was already starting to thicken some. But you are supposed to leave it on the counter for another 30 minutes to thicken (which it did!) before putting in the freezer or refrigerator. You can store them in the refrigerator for 3 weeks and the freezer for up to 1 year! There are some no sugar recipes using apple juice instead that I might try next time. Cause we have already finished one jar and are halfway through the second one so I don’t think these will be lasting long! Have you made any kind of jam, canned or frozen? I would love to hear about – link up your recipe in the comments if you have posted one! I am all inspired to make more kinds of jams and jelly now! Print a coupon for $2.00/1 Revlon cosmetic item at Target. This should make eye shadow or nail polish very cheap! Click the image above to sign up for a FREE sample of Prilosec OTC. Looking for some quick and easy dinner ideas? Here’s some printable coupons that might help! Did you get your free scarf (+ free shipping and a $10 member credit) from Sneakpeeq yet? I ordered mine last week and can’t wait for it come in the mail! See this post with the step-by-step instructions on how to get the FREE scarf. And if that is not enough, sneakpeeq is offering over 80% off and FREE SHIPPING on AMAZING EARRINGS worn by celebrities! Today they have some Anne Koplik Teardrop Earrings with genuine Swarovski crystals (Retails for $25). ONLY $4.99 after your NEW MEMBER $10 CREDIT.